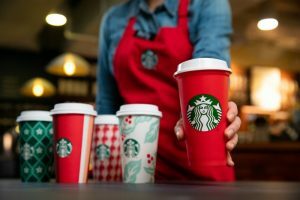 According to the brand, the canned coffee drink is infused with nitrogen for a smoother taste and will be available in Americano or Latte flavours. 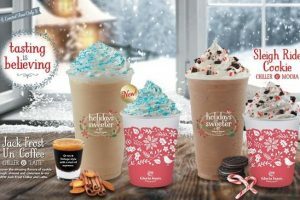 Neil Stephens, UK and Ireland managing director, Nestlé Beverages, says, “This is a really exciting launch and promises to bring our premium Nescafé Azera brand to the forefront of the fast growing chilled coffee segment. In addition to retail, Nescafé Azera Nitro Americano will be available for the catering and hospitality trades exclusively through Nestlé Professional. 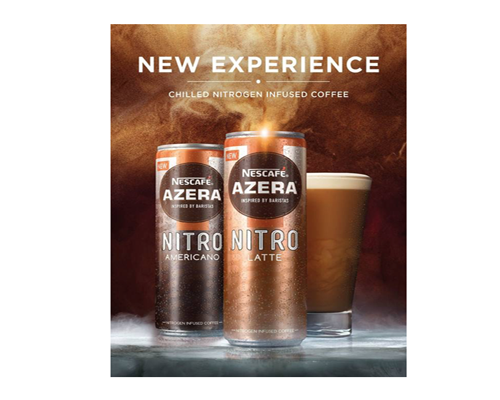 George Vezza, business executive Officer, Nestlé Professional, adds, “The unique Azera Nitro coffee drink will be served from a light weight, easy to set up and use tap, mesmerising consumers by the settling effect caused by the nitrogen as its poured in to a glass.